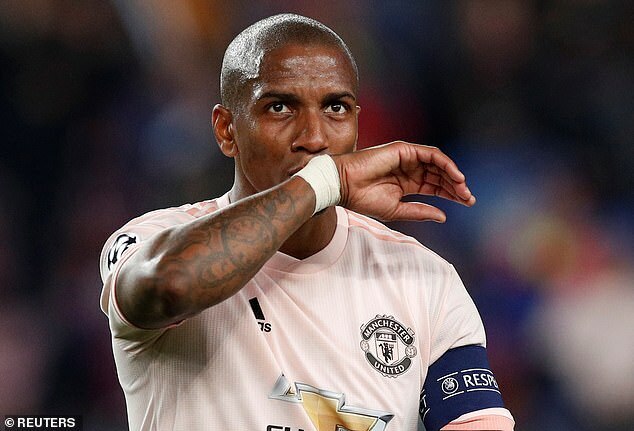 Manchester United captain Ashley Young was the subject of racist abuse online after Tuesday’s Champions League exit at the hands of Barcelona – with Kick It Out calling on Twitter to finally take action on ‘rampant discrimination’ online. Football’s equality charity questioned when Twitter will sort out the problems on their platform after Young became the latest in a series of players to be abused. 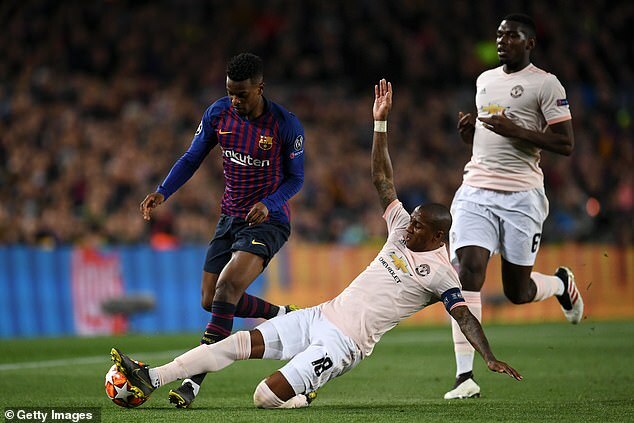 Tweets referring to Young as an ‘ape’ and using the ‘n’-word were flagged up by Kick It Out after the 33-year-old endured a disappointing night at the Nou Camp as United suffered a 3-0 defeat, exiting the competition 4-0 on aggregate. One Twitter user called on Young to ‘retire young you f***ing n*****’ and others referred to the player as a ‘monkey’ and an ‘ape’. 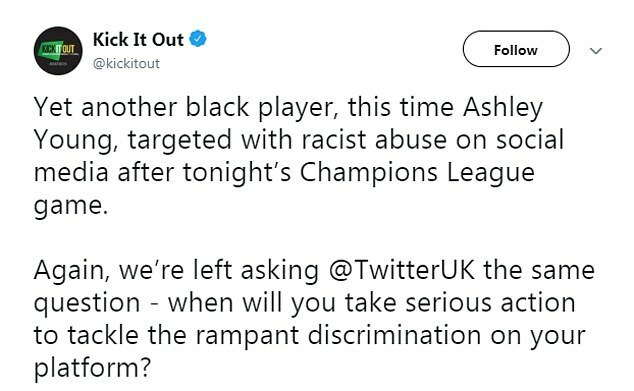 In a statement, Kick It Out said: ‘Yet another black player, this time Ashley Young, targeted with racist abuse on social media after tonight’s Champions League game.